New fully bi-lingual website for this long-established publisher. 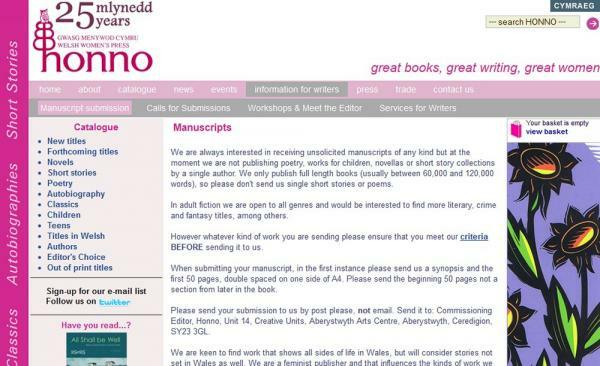 Honno specialise in publishing new works by Welsh women authors as well as re-publishing older works by Welsh women. 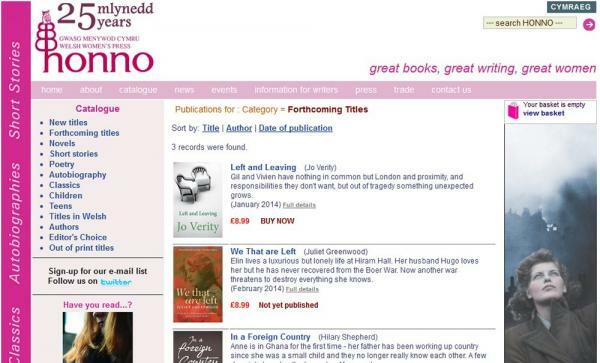 The aim of the new site was to present a visually attractive site that offers much more information about the books than was previously available, including reviews and extracts, as well as author biographies and wider information about the work of the Press. The site also offers full e-commerce facilities and includes a news and events database as well as subscribe/unsubscribe facilities for an e-mail newsletter. 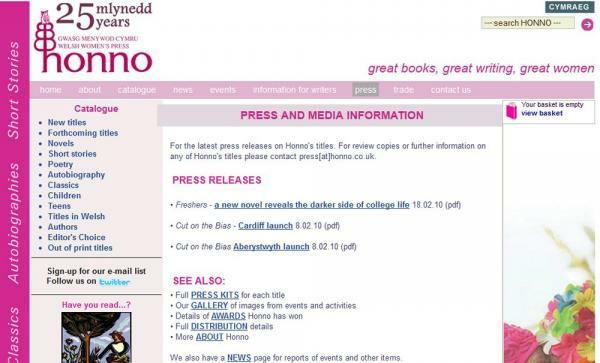 The site was given a new look and additional functions in 2010. 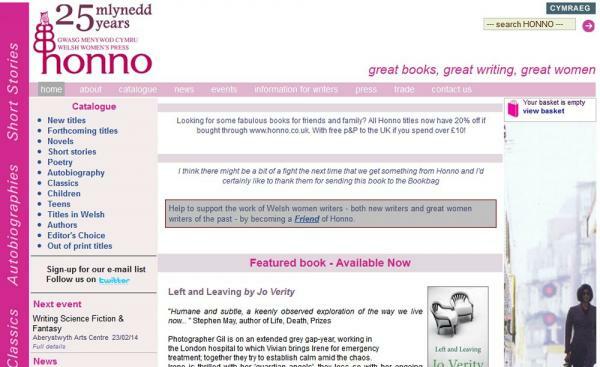 The site was developed with PHP and MySQL databases to provide the full content management tools that allow the staff at Honno to manage all their own site content.